TUNED on E85 @ 30-31 Psi. you forgot to mention that yellow valve cover. you expect to turn 9's in this thing? the numbers are exciting and it looks and sounds fast as hail. may i ask how much all of this cost? when are you going to drive it? Wow car looks insane! Dont crash it lol. Street car? 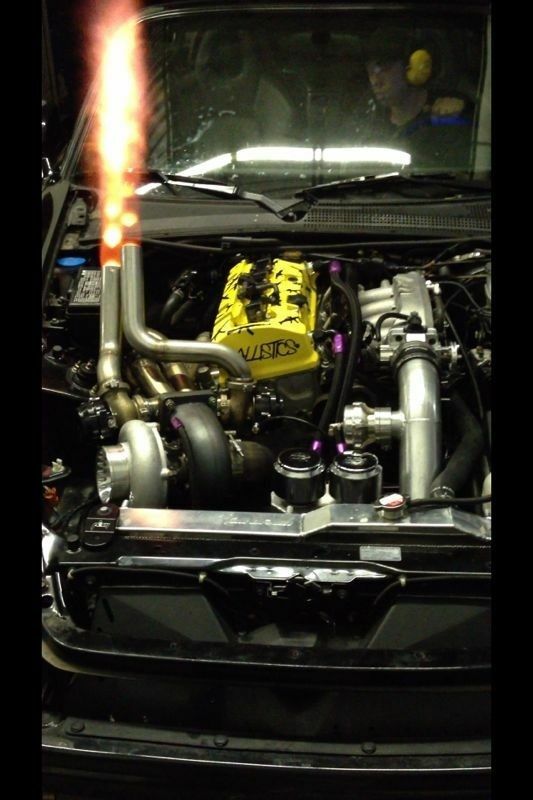 MN vehicle inspection will pass a car with giant flaming exhausts poking up through the hood? cool. I have seen this thing in person, and yes, its the "S2k from Hell". Can't wait to see it run a B.I.R. any chance you can have your video guy cut the music when the dyno pulls happen? it's my biggest pet peeve when it comes to dyno/racing videos..
Or all together...annoying song is annoying. Lovin' the valve cover, btw! OK, I do like to hear the engine...but that song goes perfect with this car... Now we want a late night run vid... pretty sure you would have some folks that would like to try and keep up??? fyi there's another video if you check out the channel that does not have music. Yeah the one where he backs up the crowd by revving the car is freaking funny as heck. Awesome...keep us updated and do a vid next time your at the track! Awesome dude!! Please keep us updated!! whats the info on your oil catch can setup? It certainly does. Any new information with this car? Needs a better rims, but nice build DD Any video? Send a private message to S2KonB00ST! Find More Posts by S2KonB00ST! I know, that pic is awesome! Ya wanna drag race? Pull your engine.